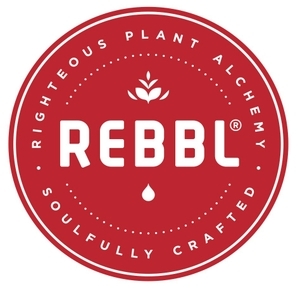 REBBL is a fast-growing beverage company based out of Emeryville, California. We craft super herb elixirs that are a reflection of our obsessive attention to ingredient purity, potency, and authenticity. We were born out of a conscious collaboration between global thought-leaders whose purpose was to address the malfunctioning global food system through a regenerative business model that would respect, uplift, and delight the world. What we aim to achieve will not come easily; this work takes serious grit. Our goal is to consciously grow a performance-driven, best in class team that is REBBL-hearted with passion, unrelenting drive, and mutual trust. We’re looking for someone extraordinary to join our tight-knit team. We are deeply committed to supporting human dignity through impact sourcing and supply chain integrity. 2.5% of our net sales go to Not For Sale, our co-founder and nonprofit partner, to help us co-create a future without human trafficking. Through impact sourcing, REBBL helps communities to thrive and prevent their vulnerability to trafficking in the first place. REBBL recently became a Certified B Corporation®, meeting the highest standards of verified social and environmental performance, public transparency, and legal accountability to balance profit and purpose. As we continue to grow, we are seeking a Social Media and Communications Intern to support our team and connect with the REBBL Social Media Community in an engaging, authentic, and informative way. This position is part-time,(2-3 days/week). This position will be based out of our Emeryville, CA office (not a remote position). REBBL’s Intern will collaborate with the Social Media Coordinator to engage our REBBL audience in an immersive online experience using social media platforms including Instagram, Facebook, Twitter, and the REBBL blog. A central responsibility will be engaging our online community with REBBL-hearted responses while tracking topic trends and noting recap-worthy content.